One of the few times I’ve been charged a resort fee and I felt like it was justified.. (looking at you Las Vegas). 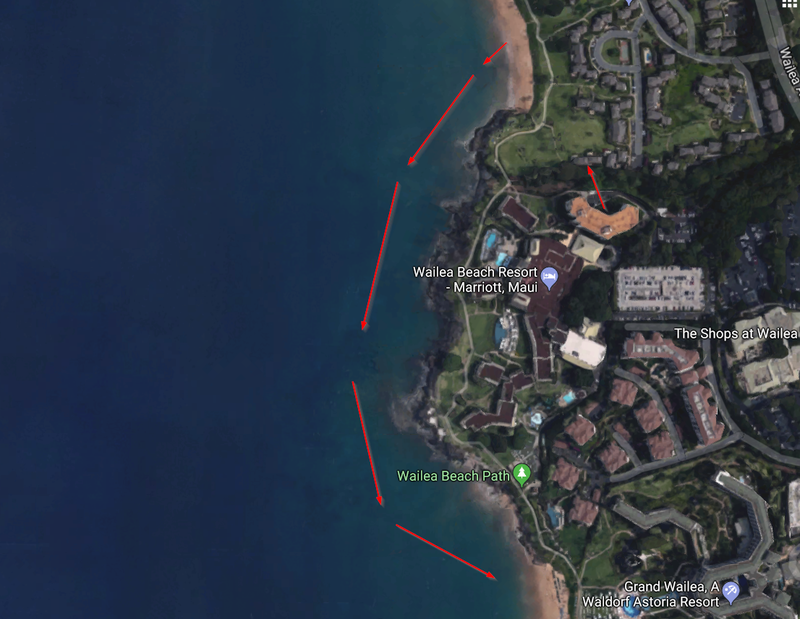 Make sure to put the Marriott Beach Resort Wailea on the top of your Maui list, especially if you have Marriott or SPG points. 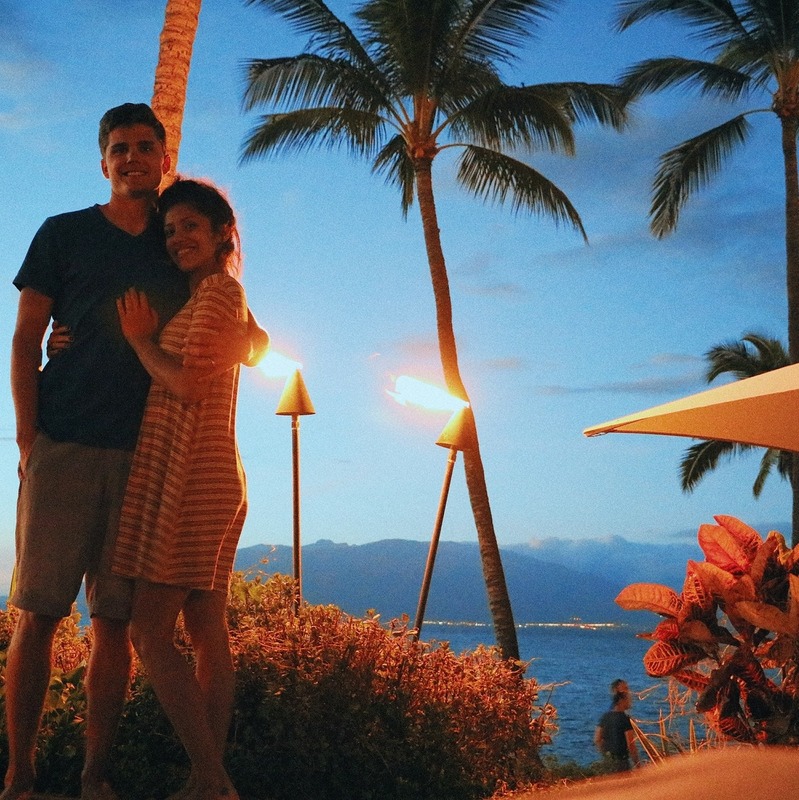 Maui truly is everything your friends and family say it is. Paradise is the best word to sum it up. 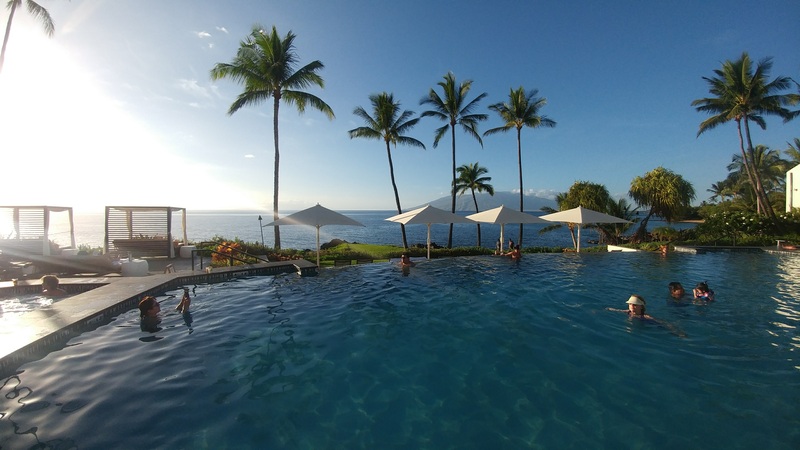 When you arrive at the Marriott Wailea Resort you feel as though you’ve entered into another realm of relaxation. 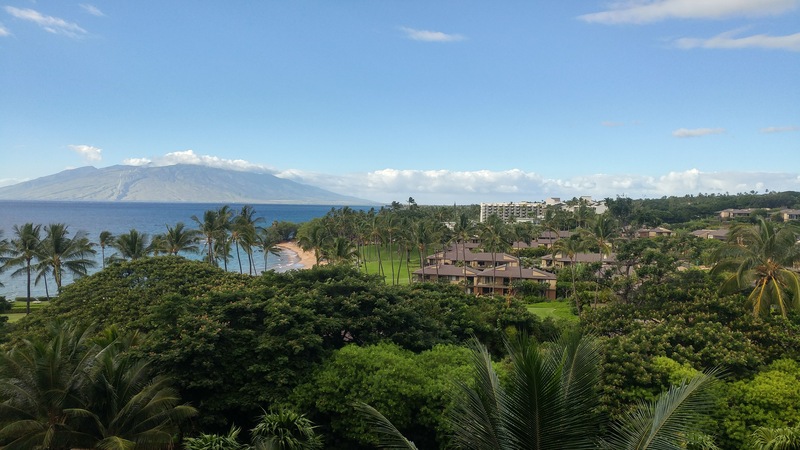 Don’t get me wrong, there are certainly nicer resorts on Maui, namely the Ritz Carlton and Four Seasons, but at 13,333 SPG points per night + $30 resort fee, this cannot be beat. 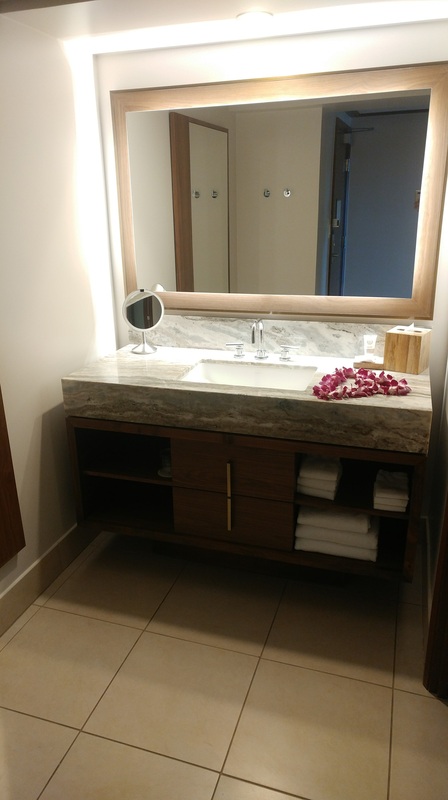 This property can be booked using 40,000 Marriott points or 13,333 SPG points per night. As you may know, you can transfer between SPG and Marriott freely (1:3). 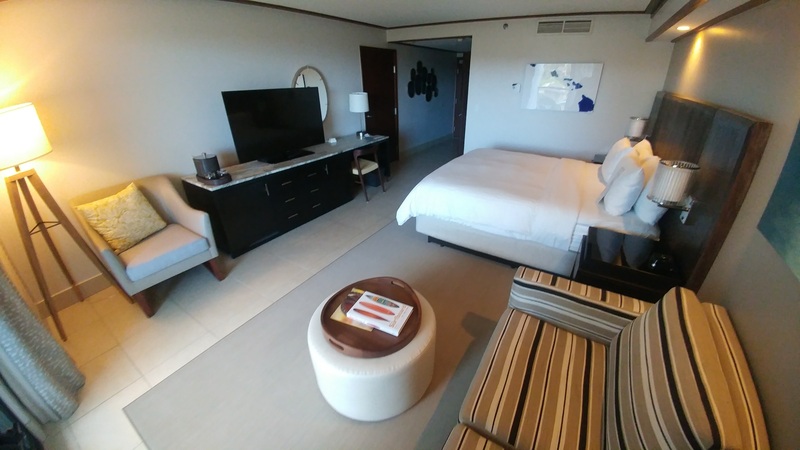 Cash rates at the time of booking were hovering around $380 per night which puts a rough three-cents-per-point value on the SPG points, a solid redemption. We arrived early, around 10AM on a non-stop Alaska Airlines flight from San Jose (where we both go upgraded to first class thanks to Alyssa’s 75k Gold status). As we walked up to check-in we were greeted with over-the-top hospitality. In no time at all, Alyssa had a lei around her neck and were escorted over to the arrivals and departures lounge. Of course our room wasn’t ready at 10AM, so they let us know they will be calling my phone when the time came. In the meantime, we had access to the lounge which offered a nice waiting area and private showers. They let us know that we were free to use the resort facilities while we waited for our room, which they said was a ‘upgraded room’. 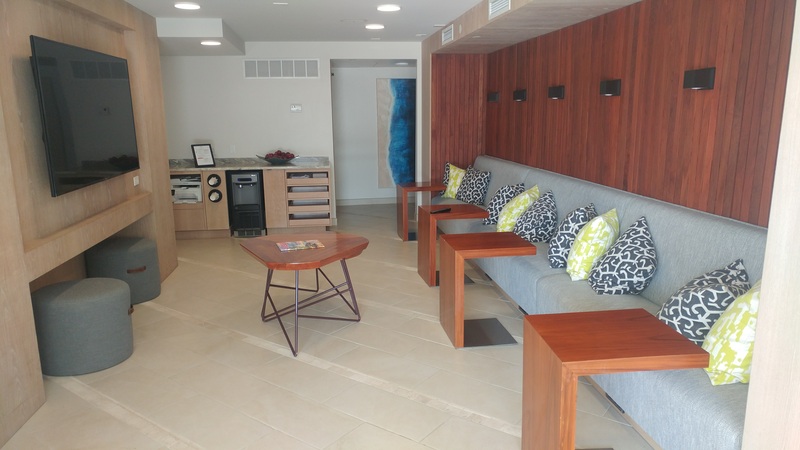 There are two main pool areas, one for families and one for adults. Both pools offer drink and food service throughout the majority of the day. Walk a bit further and you’ll find a huge kids area with water slides and shallow pools for toddlers. A five-minute walk in either direction will land you at one of many pristine beaches within walking distance. We snorkeled (which can be rented on-site by the day for $15) from one beach to the other, it took about 45 minutes. I cannot tell you how nice it is to walk from your room to the beach and be ready to snorkel in 10 minutes. 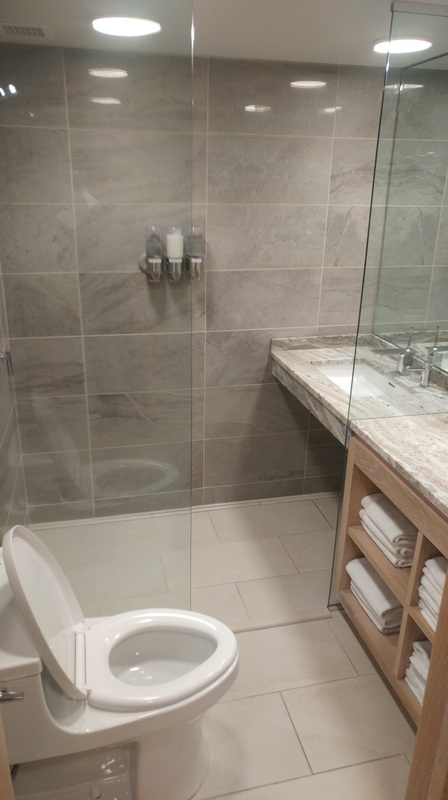 Same goes for the reverse, you can be out of the water and in your hot shower in 10 minutes, an amazing perk of this property. As for the water and snorkeling, well it was the best I’ve experienced EVER. We saw no less than 15 sea turtles. Visibility was at least 50 feet when we went out and the water temp was perfect. 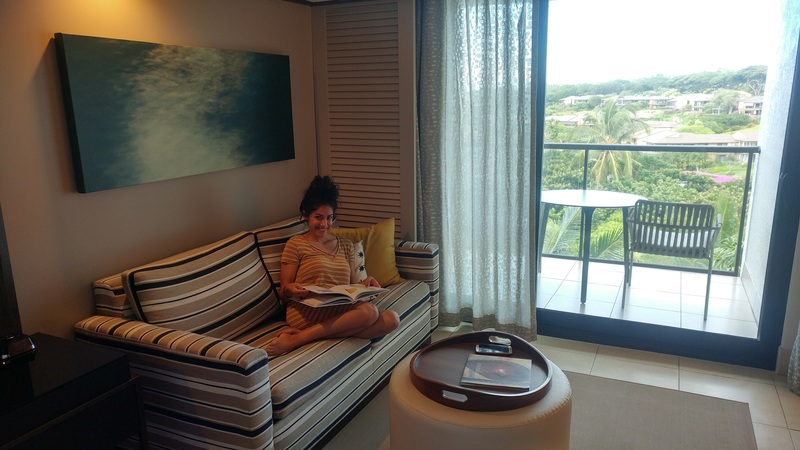 We were upgraded to an ocean view room courtesy of my Marriott Gold status (matched from SPG Gold thanks to Amex Platinum). Our top floor ‘Resort Room’ was very spacious, around 450 sq ft, and nothing about it felt dated. Self parking is $25 a night, so unless you are really needing a car (which we did not, they have beaches here), I would not recommend renting a car. 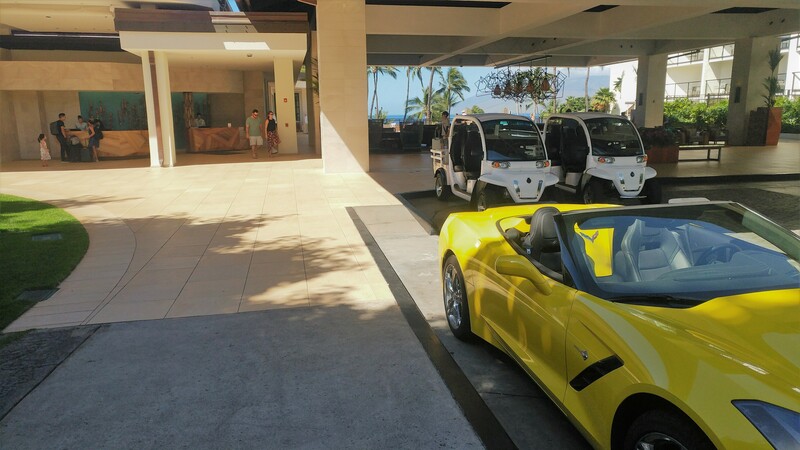 That brings up transportation costs, which are not cheap in Maui. Uber was quoting $127 for a one-way from the OGG airport to our resort, a 30 minute drive.The Marriott website says a one-way taxi is $60. We ended up reserving a shared shuttle using 3,100 Chase Ultimate Rewards points per person, round-trip. They pick you up in a new Mercedes van and they group passengers to nearby hotels so you don’t waste time driving around. There are the ‘shops’ up the road that you can walk to for a bit more culinary variety. Overall don’t expect to eat inexpensively. I found Maui to be substantially more expensive than Oahu in all areas. A basic lunch will run you $50 per couple, a nice dinner will set you back $150+ per couple. Drinks by the pool were $12-$16 and came in plastic cups, again, no real surprise. The real highlight, other than the amazing views and location, was the hotel staff. They were all top-notch and genuinely appeared to enjoy their line of work. What a treat it was to stay at this property. great review! i’m actually planning on staying here in May this year for our anniversary. i have gold status as well, curious did you have to mention anything when booking to get the upgrade? we’d ideally like to get one of the Hale towers by the adult pool. Thanks! I did mention that this stay was for an anniversary, so that may have played into it. Doesn’t hurt to ask ahead of time. Enjoy your trip!